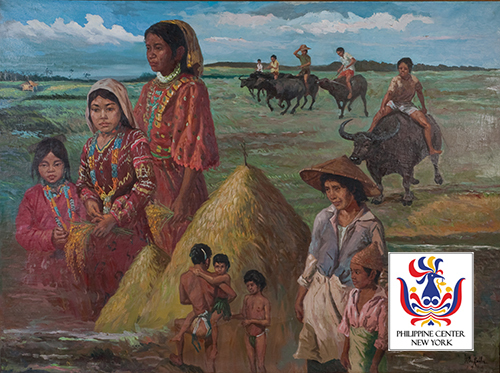 He graduated Bachelor of Fine Arts from the University of Santo Tomas, and has been exhibiting his art since the seventies. He studied at the National Academy of Design, and the Art Students Leauge in NYC. He founded the “assertionism” movement in painting. He held solo exhibits at the Kunst und Ausstellungshalle in Bonn, the Stadt Museum in Dusseldorf, the Museo National Antropologia in Madrid, the Chelsea Gallery in London, theCharles and Emma Frye Art Museum in Washington D.C., the Sunrise Gallery in Las Vegas; the Baron Arts Center in New Jersey, Hyatt Regency Hotel in LA, Gallery 7 in Toronto, the National Gallery of Thailand, and the Int’l Exhibition and Convention Center in Hong Kong. Among the books on his art is “Private as thought” written by Cid Reyes.